It was some months ago when a friend mentioned that he and his wife had sloppy joes for dinner. 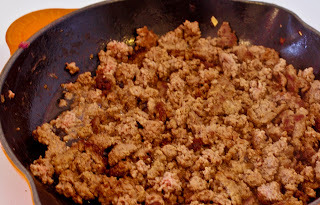 While the topic turned into a conversation about slo-joes, it got me thinking of when the last time I'd had a sloppy joe. 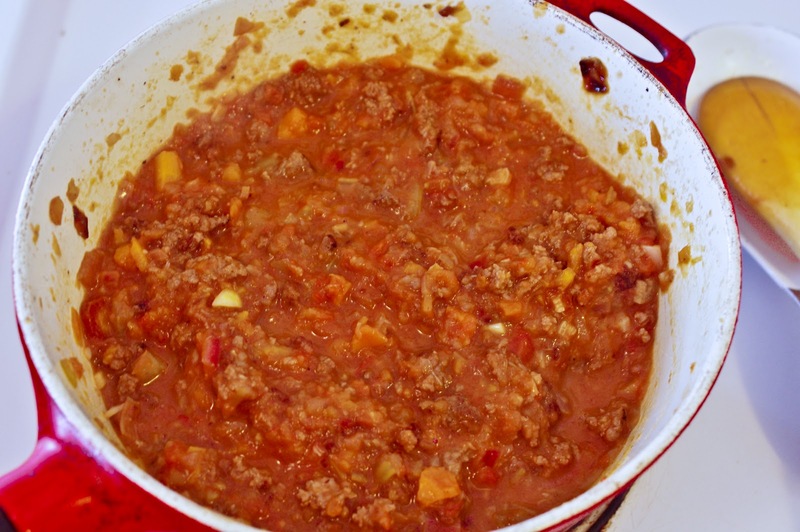 It'd indeed been a while and during the discussion of my long overdue sloppy joe, we talked about how to improve it. It mostly concerned talk of the blown out bun or the slide out lap-landing slop that presses out the back end of a roll that planted the seed of a sloppy joe pizza. It made sense and was the perfect solution, as the sloppy joe would be spread out and the cheese would hold it in place. Brown 1 lb of ground beef. 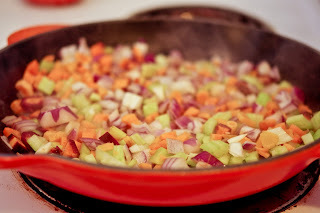 Remove beef and saute:2 small red onions3 small carrots2 stalks celery All diced, ja? 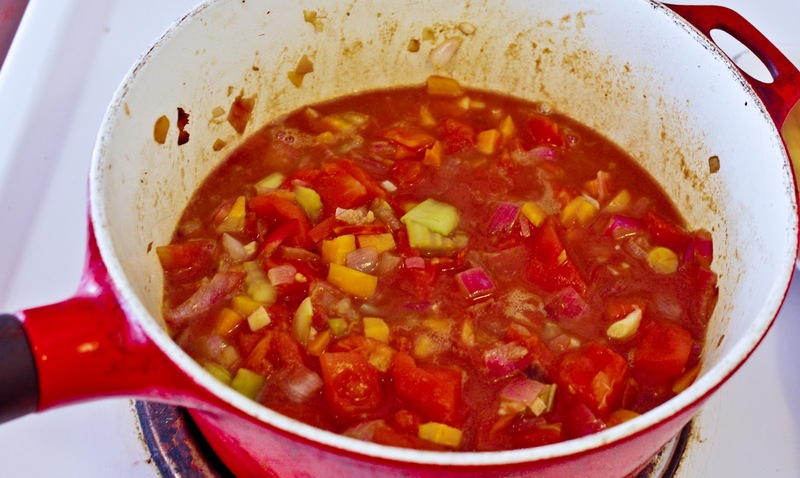 Blend your own tomato puree (5 tomatoes) and toss together with the sauted vegetables into a pot. 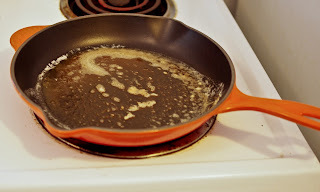 Add browned beef, cider vinegar, brown sugar, garlic & mustard powder, salt, pepper, and cayenne. Bring to a boil, reduce, and simmer on low-medium heat for 30 mins. Then get interrupted, place in fridge, leave apartment, forget that you were going to make a sloppy joe pizza, and eat open faced sloppy joes for the next 3 days. Wha-wha. 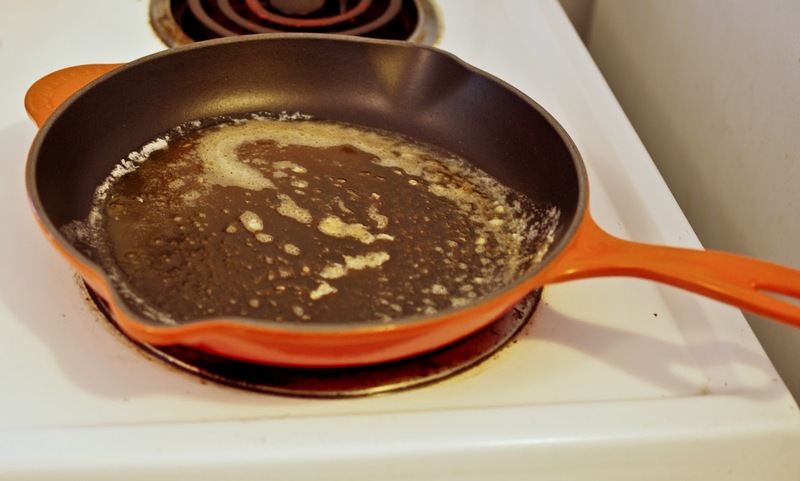 I make food--baked, broiled, grilled, fried, sautéed, braised, boiled, poached, steamed, dried, cured, fermented, forced, pressed, and any way that I may happen to hear or read it being done otherwise. I tend mostly to prepare food on the cheap but more importantly, I try to do it in an interesting way. I honestly feel it's a failing venture, but sometimes something nice happens and someone pats me on the head.